At the time of its broadcast, Series 9 was in the midst of a settled period for the overall series. 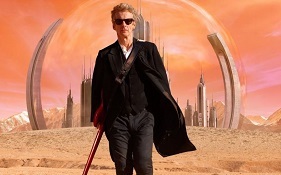 Peter Capaldi was fully established as the 12th incarnation of the Doctor. His companion Clara Oswald (played by Jenna Coleman) was also well established, since she joined the show during Matt Smith's time as the doctor. However that was back in late 2015, and there was a long delay before the soundtrack album was released in Spring 2018. By this time of course not only has Clara Oswald left the series, we have seen a new companion Bill Potts through her own story arc in Series 10. We are also aware that Steven Moffat and Peter Capaldi are leaving, and the show will continue with a new showrunner and female doctor in the form of Jodie Whittaker. So to fans today there is already the palpable feeling of transition for the show, and this soundtrack release is looking back to another era. This duality of old and new is emphasised by the 'hybrid' nature of the cover with the new logo branding appearing above an image of the 12th Doctor running with Clara. This old-new duality is equally the case from a musical perspective. During series 9 Murray Gold was the resident composer who had been creating music for the show for more than a decade, including well-established themes for the 12th Doctor and Clara. However it was announced earlier in 2018 that the long-serving composer would also be leaving the show along with most of the production team, with Segun Akinola named as the new composer coming in to the show to pick up the mantle. So musically this is almost the end of an era for Murray Gold, with the series 9 boxset probably his penultimate album release. So musically we are starting to round off a significant period for Doctor Who music with appreciation for Murray Gold's music at the heart of it, performed at Prom Concerts and with the Symphonic Spectacular show going on tour across the UK and beyond. We have also heard Gold's "film score" for the 50th anniversary special "The Day of the Doctor" (which had a cinema release), and the composer has inspired a huge number of fan-driven celebrations of his music. While this is the beginning of the end for Gold's involvement in Doctor Who, this penultimate boxset does him proud with a full 4 discs representing a major celebration of Gold's contribution to the show. The first 2 of the 4 discs cover the bulk of the series episodes in chronological order with the exception of "Heaven Sent", which gets a disc to itself about which more later. Many of the episodes also come in linked pairs, which not only helps the continuity but gives a more "epic" rounded feel to the plots, almost like mini story arcs within the overall narrative. "The Magician's Apprentice" / "The Witch's Familiar" sees the return of Missy, the Daleks and their creator Davros, and explores new aspects of Davros' relationship to the Doctor. There are some suitably dark elements to the music with eerie instrumental slides, balanced with some epic tracks bringing in the 12th Doctor's theme and choral chants. With "Under the Lake" / "Before the Flood" the setting is claustrophobic with eerie ghosts, and the music is largely a mix of action and mysterious suspense. 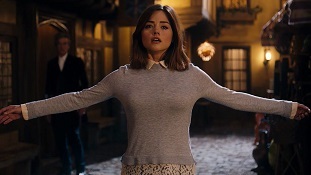 The track "The Bootstrap Paradox" features solo piano, and Clara's theme makes a brief appearance in "Another Ghost has Appeared". 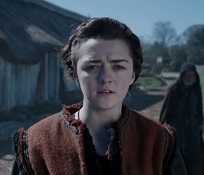 "The Girl who Died" / "The Woman who Lived" introduce the character of Ashildr (later called Me), with both episodes having lighter elements. Murray Gold enjoys himself with some folk music in "Two Days on a Longboat", with this becoming Alshildr's theme which then re-appears in later episodes. Disc 2 continues with "The Zygon Invasion" / "The Zygon Inversion" with "Deep Cover" suitably invoking the mood of a spy drama, and "Just Come Inside" being a slow serene melody which becomes derailed towards the end. Meanwhile in "The Morpheus Song" from "Sleep No More" the BBC National Orchestra of Wales (which celebrates its 90th anniversary this year, 2018) take a rest while Murray Gold treats us to some electronic atmospheres. Meanwhile "Madam Mayor" in "Face the Raven" gives us a big musical clue as to the identity of the mayor, while the self-titled "Face the Raven" (of almost 8 minutes in duration) gives a moving rendition of Clara's theme. 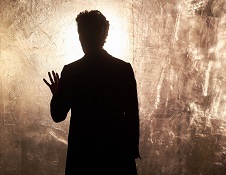 In "Hell Bent" the Doctor has it out with the Timelords, and this story is finished off with "A Duty of Care" (which feels as though it shares a kinship with "Heaven Sent") and "Clara's Diner". Although the boxset has avoided using Peter Capaldi's on-screen guitar riffs from earlier episodes, this final track is entirely guitar riff and rounds off disc 2 nicely showing the Doctor's subliminal memory of his companion Clara. This is also one of the few times in the series history when background music becomes source music (or as music scholars would say, non-diegetic music becomes diegetic). Disc 3 is entirely devoted to the episode "Heaven Sent" and almost certainly includes a huge proportion of the episode (if not the entirety). This is an outstanding (and Hugo-nominated) episode and has inspired Murray Gold to create some of his best music for the series, of almost classical proportions. Of course it helps that this episode has little dialogue to clutter the soundtrack. For his musical storytelling Murray Gold introduces a number of distinct or related elements, there's some electronic and sound design work especially the buzzing fly sound, and heavy breathing sounds, then there are various other portents of doom (heavy cresc/decresc chords and dischords) also associated with the approach of the death-like grim reaper character. Then there are little bits of string slides and ostinati, before "The Veil" and then "A Fly on a Painting" introduce a chord sequence of classical austerity as though Mozart's Requiem had been completed by Philip Glass. Then an anthem like theme appears over these chords in "A Change of Clothes", a brief trumpet-like call appears like something from a Morricone Western in "Tell No Lies", and a busy little theme enters built around the ostinato patterns. All of these are laid out as the Doctor puts together pieces of a puzzle as he slowly understands the situation he is in, and the huge almost impossible task of beating it. These musical elements come and go as the episode builds dramatic momentum, and the 12th Doctor's theme makes an appearance in "Break Free" as he begins his 4 billion year marathon. The score reaches a climax with "The Shepherd's Boy" a flowing waltz-like track with the horns giving some heroic hints of the Doctor's Theme, nicely ending with those inevitable descending chords. In his liner notes Gold says that this episode was his favourite to score since "The Pandorica Opens" - and it shows! 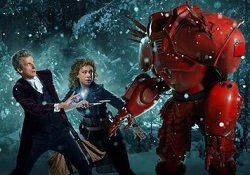 Disc 4 is also entirely devoted to a single episode "The Husbands of River Song". Of course this is a Christmas episode, and therefore a complete contrast in tone to "Heaven Sent". Much of the story can be thought of as a romp, more cartoon-ish in style, and the music launches immediately with "Carol Singers Will be criticised" which after a big Christmas build-up, goes staight into "Hark! The Herald Angels Sing" followed by some comedy Bassoon in "A Dying Husband". The story is part farce with River not initially recognising the Doctor, but Murray Gold leaves us in no doubt whatsoever. He hides his original mysterious Doctor's Theme in "The Husbands of River Song", brings the 12th Doctor theme into "All the Firewalls in the Galaxy" and caps it all with the Madman in a Box theme in "The Singing Towers". Along the way Peter Capaldi gets to do his definitive version of the "bigger on the inside" routine in "Time to do it properly", we are introduced to the strange yet comical Nardole before he became a recurring character, and Greg Davies' blustering Hydroflax is accompanied by big low brass. "Harmony and Redemption" gives us some sonic contrast being pure synth, rather than orchestrated, and then there is a complete change in tempo for the final 3 tracks, rounding off the River Song story (albeit not chronologically) with her magical 24 years in Darillium with the Doctor. 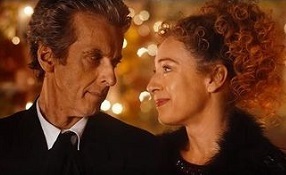 Gold scores this with romantic piano and strings in "A Restaurant with a View" and finally some mystical choral moments give River and The Doctor their Enchanted Evening in "The Singing Towers". The "Heaven Sent" score cannot be praised too highly, and Disc 3 more than justifies a purchase of the boxset. The full Series 9 boxset is excellent value for money and is available from: Amazon.com and Amazon.co.uk. 1. The One in a Thousand (3:22) - tracks 1-6: from "The Magician's Apprentice"
7. 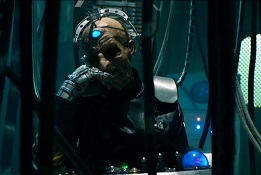 Davros Approaches (3:51) - track 7: from "The Witch's Familiar"
8. Some Kind of Submarine (3:14) - tracks 8-9: from "Under the Lake"
10. The Bootstrap Paradox (1:50) - tracks 10-14: from "Before the Flood"
15. Something in the Spacesuit (1:07) - tracks 15-18: from "The Girl Who Died"
19. I Call Myself Me (1:09) - tracks 19-21: from "The Woman Who Lived"
1. Deep Cover (5:11) - tracks 1-2: from "The Zygon Invasion"
3. This Is Not a War (3:56) - tracks 3-4: from "The Zygon Inversion"
5. The Morpheus Song (5:25) - track 5: from "Sleep No More"
6. Saving Rigsy (1:28) tracks 6-10: from "Face the Raven"
11. Back Home (2:27) - tracks 11-14: from "Hell Bent"
1. A Second Shadow (1:27) - tracks 1-14: from "Heaven Sent"
1. Carol Singers will be Criticised (1:06) - tracks 1-14: from "The Husbands of River Song"